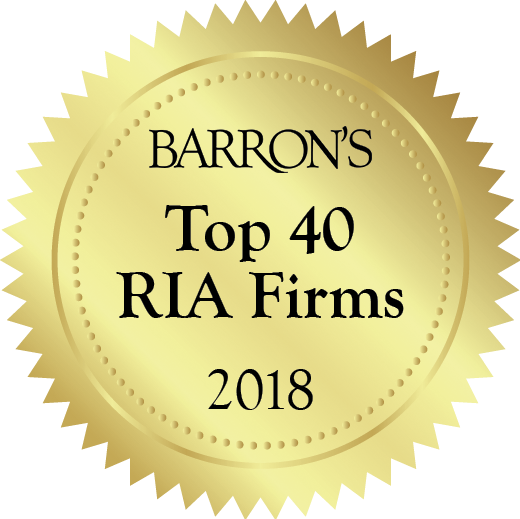 Barron’s has announced that Stratos Wealth Partners has been included in their 2018 list of the country's Top 40 RIA Firms. This award recognizes elite firms across the country that demonstrate steady growth, both organic as well as through mergers and acquisitions of smaller Registered Investment Advisor (RIA) firms. The award has jumped from recognizing 20 tops firms in 2016, and 30 in 2017, to 40 in 2018 to make room for the “explosive growth” of firms this year. In addition, Barron's ranked Stratos #2 in number of advisors, #3 in number of offices, and #5 in number of states. Under the leadership of Founder and CEO, Jeff Concepcion, Stratos has grown from $700 million in client assets in 2009 to approximately $7.7 billion in AUA, plus an additional $5.6 billion in brokerage assets with LPL Financial. Stratos consists of over 260 advisors, 60 home office staff, and has over 87 offices, in 24 states.